Attention! getting it, keeping it and sharing it! 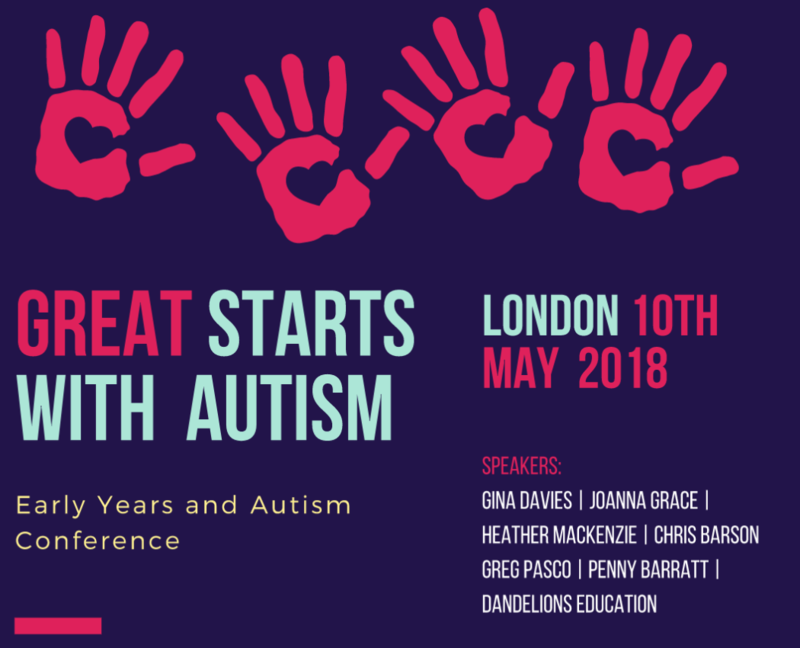 Gina Davies - Gina Davies Autism Centre - Gina will look at getting connected, building shared experiences and inspiring children to communicate. The approach and techniques that Gina Davies has developed are simple, effective, and above all, fun. Chris Barson - Positive About Autism - Chris will explore the play/learning/thinking style in autism and get us asking the question - how can we work with and around autism? Greg Pasco - King's College London - What does the evidence say about early intervention and parent programmes? Is it possible to make a dent in the natural trajectory of the condition? If so, how’s it best done? Heather MacKenzie Self-regulation in Everyday Life is a step-by-step guide for every parent who wants to help their child be better prepared for school and for life. It helps parents shift from teaching specific behaviours to working on foundation skills in body, cognitive and emotional self-regulation. Teachers, SENCOs, Assistants, Play Therapists, Parents - anyone with an interest in getting kids with autism off to a great start! Emma Harwood and Hayley Room - Dandelion Education - Emma and Hayley will lead us from early beginnings to multi-award winning nursery. Dandelions, was the first entirely outdoors nursery, in Britain, to combine both the approaches of Philosophy for Children (P4C) and Forest School together in a unique approach to learning and development. Joanna Grace - The Sensory Projects - Joanna will take us step-by-step through creating Sensory Stories for little ones with autism. Sensory Stories are short stories of a few lines which are brought to life through a selection of meaningful sensory experiences. Sensory Stories can open up new avenues for communication and inclusive learning. Penny Barratt - Executive Headteacher The Bridge School - Key considerations for teaching and learning with regard to little children on the spectrum. A few tips, tricks and techniques plus some tales from the classroom!